If you don't own the game on the PlayStation 4 or Xbox One whatsoever, then Blizzard has the deal for you. Starting next Tuesday, you can buy the Diablo III: Eternal Collection, which includes Diablo III: Ultimate Evil Edition and Rise of the Necromancer, for just $39.99. That's a pretty good deal for the whole kit-and-kaboodle. Of course, if you're not interested in any of this content, then don't worry, you'll still get some free content next week if you own the Reaper of Souls expansion. Challenge Rifts, The Shrouded Moors zone, Temple of the Firstborn zone, and the Realms of Fate are all getting added free of charge as part of the 2.6.0 patch that drops next Tuesday. There aren't any listings for the Rise of the Necromancer content on Battle.Net or the PlayStation or Microsoft stores, but you can probably expect to see it up later in the week. 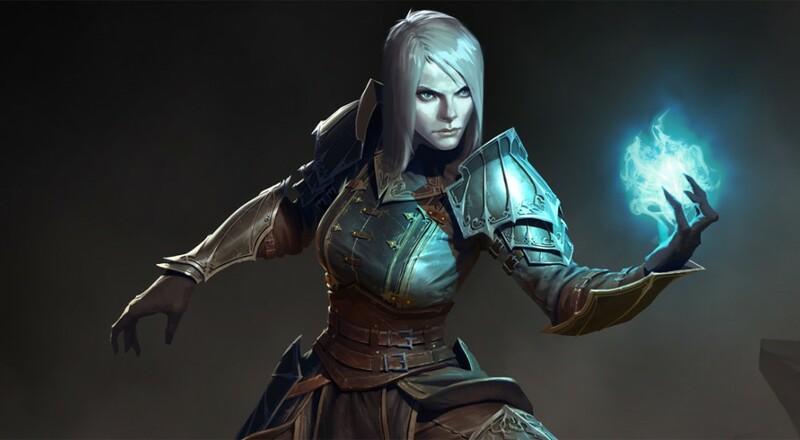 The Necromancer class will be playable next Tuesday, June 27 after the scheduled maintenance (check here for maintenance times) is completed. Page created in 0.2963 seconds.